We are not just any old moving company; we are established and thought of as one of the most honest and hard working moving companies in America. Our crew likes to think about every little detail when moving; it’s the little details that really make the difference between an average move and a great move. We like to strive for the latter and we continue to do this on a daily basis. VMoving was founded as a nationwide moving company with a network of dispatchers across the US making sure peoples belongings are secure and transported safely. If there are any issues there is always a dispatcher ready to handle it straight away. 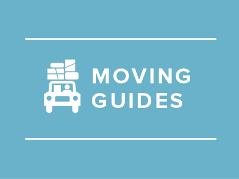 All of our moving crews are trained on the correct lifting techniques and furniture handling styles to make sure nothing gets broken and everything is dealt with in the proper manor it should be. We also have packing techniques if you need packing services that maximize the box space while making the items free from moving around during transit. We not only move you locally we look to move you nationwide also and we have the connections and moving contacts to do that for you. Our moving company has offices all over the USA so when we next extra help in any cities we have the team members to call on to help us out. On average VMoving helps around 120 people move a week nationwide so this is a testament to the size and dedication of our company. We have moved and seen it all so whatever move you have in mind be it sometimes unconventional we have probably already done it. Some of the moving request we get will be anything from a large 1 item move all the way to a 6 bedroom house and more. It really does not matter at all, we cover all aspects of moving from the packing, to the loading and unloading and also the shipping the items to the new location. Our moving company also works in any weather conditions, we have trucks that are outfitted for snow and ice and even air conditioned trailers for those hot humid days. We also have full packing materials like boxes, bubble wrap, moving tape and furniture blankets to keep dust off things and also stop items getting scratched up. For heavy objects we use dollies of various size and strength that are versatile and multi functional. They will leave your home floors free of getting scuffed up by trying to drag heavy objects over them. The upright dollies even have special wheels to handle going up and down steps to the point where our company can wheel out a fridge and easily and gently take it down stairs. If you are having issues with any items that are too big to fit through the door then we can help disassemble them for you and get them on the truck and reassemble them at the new location, it’s really not an issue at all for our movers as they always carry a full tool kit with them.